Is your brake light on? Or are your brakes making noise? $50 ... [more] off 4 wheel brake service. The more you spend - the MORE you SAVE! This Italian sports car company was founded in 1929 and is known for speed, luxury, and wealth. 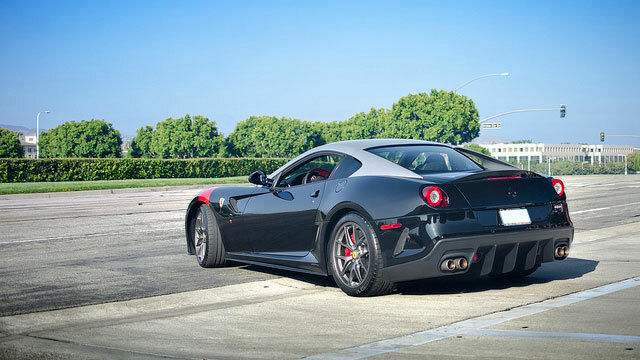 Originally designed for Formula One races, the need for speed is a necessity for Ferrari owners. Official sales began in 1947, and driving a vehicle with that that much power made Ferrari more than just a car. It embodies passion and determination, and it’s reflected in the driver. Ferrari’s designs from the California T, the 458 Spider, and the ambitious LaFerrari, are all about the highest caliber of performance. As an owner, you need the same thing from your technician. Our certified technicians understand the value of your investment and are dedicated to providing you unparalleled service. We want to keep your car in the best shape whether you only drive it on the weekends or if you commute in style—our shop is ready for anything. Our service specialists will make sure that your Ferrari is up to meeting the demands that you place on it. Our shop offers the highest quality service and repair of Ferrari vehicles in the area. Don’t settle for anything less than the best. Call and make an appointment, and put our service to the test!